If you ever felt the need for some extra shelves for that added decor to your room, then relax, Henry Julier has heard you. 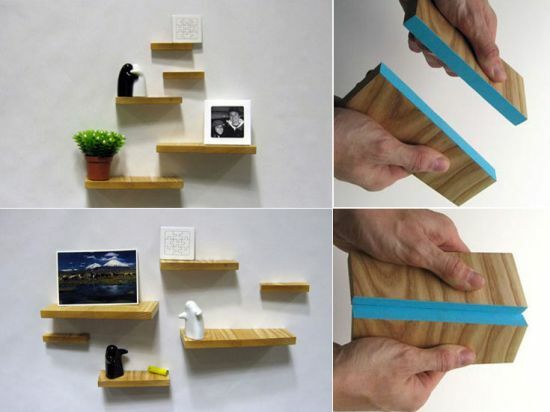 These strong magnetic shelves of varying sizes, exclusively produced by Julier, can be fixed on any magnetic surface to provide you with a readymade solution for changing the look of your room instantaneously! The three neodymium magnets placed within each shelf enable it to be readily attached to a fridge or whiteboard, making it quite a handy piece of furniture. Looks like Julier’s got himself a deal! Unique Dinosaur Plant, older than Dinosaurs! ← Seussian Pedal Tractor: A flashy tricycle for 3!